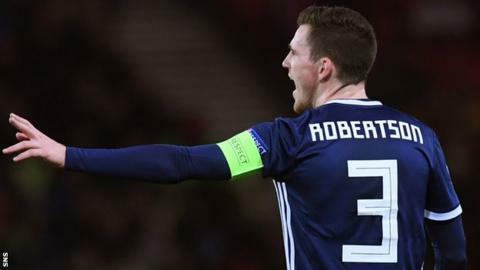 Scotland captain Andy Robertson has been ruled out of Thursday's opening Euro 2020 qualifier in Kazakhstan. The Liverpool defender had stayed behind in Glasgow when the squad left on Sunday night to have an operation on an abscess in his mouth. He had hoped to meet his team-mates in Astana, but will instead join them for Scotland's second match in San Marino on Sunday. It means Celtic defender Kieran Tierney is likely to deputise at left-back. 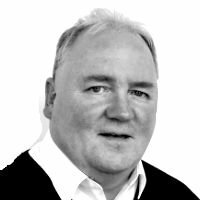 Jordan Archer, Barry Bannan and Charlie Mulgrew had already withdrawn from Alex McLeish's squad, with Liam Kelly and Stuart Findlay called up. Livingston goalkeeper Kelly and Kilmarnock defender Findlay are both yet to win a cap for their country. Cardiff City's Callum Paterson and Ryan Fraser of Bournemouth will also not be involved in Astana due to concerns over the artificial surface. Defenders: David Bates (Hamburg), Stuart Findlay (Kilmarnock), Scott McKenna (Aberdeen), Stephen O'Donnell (Kilmarnock), Liam Palmer (Sheffield Wednesday), *Andy Robertson (Liverpool), John Souttar (Hearts), Kieran Tierney (Celtic).